HE was championed as being the man who could bring about real change in Spanish politics. But now, radical leader Pablo Iglesias is threatening to quit his own party Podemos after rumours of a furious row with his right-hand man. 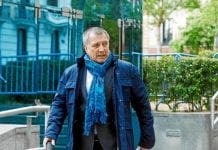 Former professor Iglesias issued the ultimatum as rival Inigo Errejon prepared to address the party’s national conference. 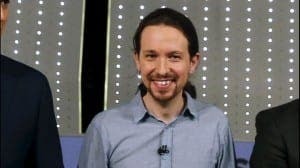 Iglesias said he would walk away from the party if Errejon wins a key policy debate at the party’s Citizen’s Assembly. “If the important political document presented, representing my team and my project, is defeated, I cannot be secretary general,” vowed Iglesias. Iglesias came from nowhere to win a sensational 21% of the vote in this year’s general election. 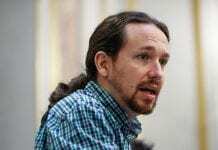 Earlier, the Podemos head had denied he will drop his right hand man following fierce speculation that the pair have fallen out. Iglesias said ‘it would be crazy’ to drop Errejon, a former professor at Malaga University, from his post of political secretary. This is despite recent public spats between the pair concerning various policies. He added: “There has been an excess of personality and now we need to stop being the party of Pablo Iglesias. “In democracy there are times that you agree and others do not. Previous articleLooking for love in Spain?